Landfall 227 Vital Signs Autumn 2014 I really appreciate picking up a journal that places critical thinking alongside the telling of tales and the musical lift and surprise of poems. 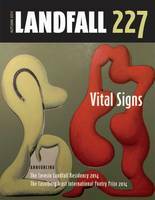 The latest issue of Landfall does indeed celebrate vital signs of life in our writing communities. This is a writing smorgasbord that not only offers tremendous fiction and poetry but that also presents writing that defies genre. There is writing here that sits in the non-fiction category but that veers in other directions. I really appreciate picking up a journal that places critical thinking alongside the telling of tales and the musical lift and surprise of poems. And that that critical thinking is full of welcome signs as opposed to the by-products of gated cul-de-sacs. There were few poems that couldn’t hold my attention, some of the very best writing was near the back, and my accumulation of standout poems just grew and grew. Bouncing off the title, clichés abounded; New Zealand poetry is in good and diverse heart, there is vital blood pumping through our poetic veins. Ahh! I loved the way this selection made links to past and present, mainstream and offbeat, familiar and unfamiliar, and satellite poetry endeavours. Morgan Bach’s eye-catching moment in ‘Postcards,’ provides a sweet, melodic lull, vibrant detail and a catchy miniature narrative. In Annalyse Gelman’s ‘My Legacy’ I loved the syncopated pattern of long and short lines. Murray Edmond’s ‘Solomon’s Throw: Memoir of a Name’ is an inventive and agile response to the stunning tie between the West Indies and Australian cricket terms in 1960. Murray bounces from Allen Ginsberg’s ‘Howl’ to the childhood Solomon-Grundy chant to ‘The Song of Solomon’ in his surprising musings. One of a number of poignant poems in the issue, Angela Andrews’s ‘Grandfather reacts to the way death and almost death are great prompters of story, of roads back into the past. Her detail is acute. Each poem Sarah Jane Barnett writes just gets better and better. In ‘Relief,’ each line is nimble, the story fablesque, the poem rich in direction. Carin Smeaton’s ‘Wishing Bone’ is like dialect in short snappy lines, with urban edge, getting into the head and ache of a woman/mother dispossessed. Peter Black’s photographs, ‘Simple Beauty,’ are luminous poems. Lynley Edmeades’s ‘Faute de Mieux’ offers musicality of detail and momentum. Some of my favourite poems were sheltering near the back. Bernadette Hall’s piece, an extract from ‘Maukatere: Floating Mountain’ defies compartments. It is like a floating memoir that hooks imagination as much as recollection. It is poetry, and in that poetry, promotes curiosity. I want to read more! I have already sung the praises of Zarah Butcher-McGunnigle’s Autobiography of a Margurite (there is an extract) here. muddy with cloud, light squeezed out. Are you there, a man says into his phone. Submissions for Landfall 228 now closed. Due November 2014. Submissions for Landfall 229 close January 10th 2015 (there is no theme). Due May 2015. This entry was posted in Poetry and tagged Landfall, NZ Literary Journal, poetry review on July 29, 2014 by Paula Green. Thanks to VUP, I have randomly selected Jane Arthur to receive a copy of Maria McMillan’s Tree Space. Thanks for your comments. This entry was posted in Poetry and tagged Maria McMillan on July 28, 2014 by Paula Green. You might know just the child or class for this job! To celebrate the arrival of A Treasury of NZ Poetry for Children in October (Random House), my own poems in The Letterbox Cat in August (Scholastic) and NZ Poetry Box, I am doing masses of things. A Hot Spot Poetry Tour of NZ for about a month is the main act. But I am also looking for children and classes to devise an interview for and write a short bio of an author in the Treasury. I will give help where needed! I am assigning names to children and classes who get in touch. So some are already taken! I then send the questions to the author. I will post interviews in October. I will give a copy of The Treasury to my favourite interview by a child and my favourite by a class. This entry was posted in Poetry, Poetry Events and tagged A Treasury of NZ Poetry for Children, Paula Green on July 26, 2014 by Paula Green. Manhire ‘Kevin’ to read. Just love this poem and have a strange anecdote about the first time I read it. This is a beautiful book to hold in the hand. I have loved falling upon favourite poets and favourite poems and then those I am less familiar with. This is book of myriad doors and windows. A chocolate box of reading treats. It was a lovely occasion and it reminded me how much we continue to open arms to poetry. To a hubbub of poem talk. Cheers Siobhan Harvey, James Norcliffe, Harry Ricketts, and Nicola Legat and her dedicated team at Penguin Random House. Happy to post accounts of the other two events. Dunedin and Wellington. This entry was posted in Poetry, Poetry Events and tagged Albert Wendt, poetry launch, Siobhan Harvey, Tusiata Avia on July 26, 2014 by Paula Green. There goes London with its scattered lights. when her marbles have been counted, put away. 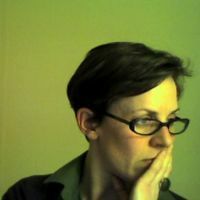 Author’s bio: Lynley Edmeades is currently writing a doctoral thesis on sound in avant-garde American poetry, at the University of Otago. 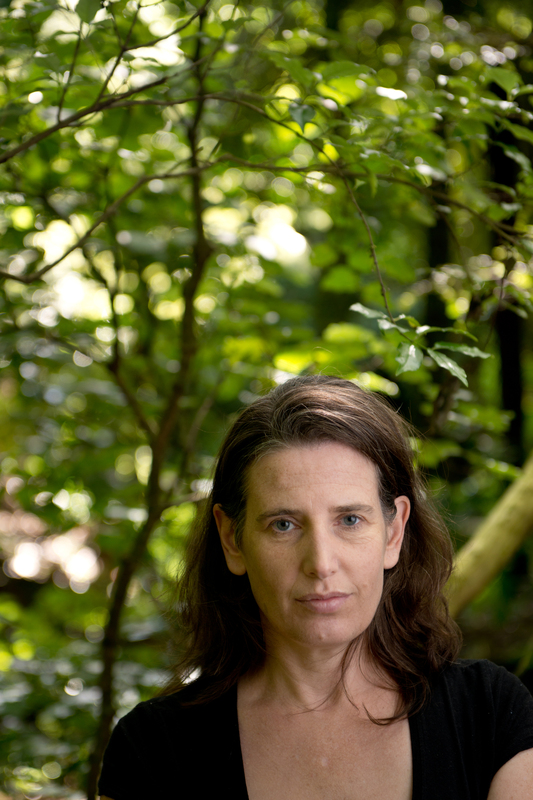 Her poems, reviews and essays have been published in New Zealand and abroad. She lives in Dunedin. Author’s note: I wrote this poem while I was living in Belfast. It was prompted by a conversation with poet Sinead Morrissey, in which she applauded the power of first lines. Put your readers straight in there, she said. No ideas but in things. Paula’s note: Sometimes an object in a poem reverberates with such exquisite frisson the hairs on your arm do stand on end. In Lynley’s poem, marbles promote a grid of shivers—from the allure of the physical toy to the dips and peaks of childhood. That time of endless summers and wild darings. To overlap the potential of this ‘thing’ with the aerial view of London at night is genius. Magic slips from one to the other. The allure of night. The way a city’s particulars are soaked up into the unknowable dark (or apprehended from a different point of view). The way the city borders are at the edge of psychological unease. Then you get taken back to the moment of the child where the smallest moment can be utterly sharp. The game is over. Fleeting yet intense. What I love about this poem (and indeed other poems by Lynley) is the way ear, heart and mind are in harmony—words are deft on the line, images are fresh, simplicity partners complexity. And the way, in this example, one word, ‘Levethian,’ can unsettle and add to the subtle discomfort (the engagement with the long-ago child, loss, larger-then-life cities, the unknown). Or the the way the poem catches hold of that child trespassing on the glittering lights of night. The complexities and possibilities of this small poem are enormous. I have barely started. This entry was posted in Poetry and tagged Lynley Edmeades, NZ poet, POem Friday on July 25, 2014 by Paula Green. MEGA-READING AT OGH LOUNGE 6 August, 5.30-7 PM ALL WELCOME! This entry was posted in Poetry, Poetry Events and tagged Michele Leggott on July 24, 2014 by Paula Green. 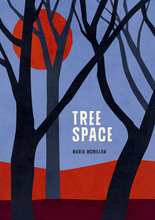 Maria McMillan’s biography tag on the back of her new book, Tree Space, fascinates me: ‘Maria McMillan is a writer, activist and information architect who lives on Kapiti Coast.’ Fascinating in the way these four key elements rub against each other. Tree Space is Maria’s first full poetry collection, and the poems have been written over more than a decade. Yes, there is a range of subject matter, style and inclinations, yet there is also a satisfying degree of cohesiveness. The poems step out from diverse starting points, yet frequently that starting point is a pivot for meditation. To me the poem provides an opportunity to delve deeper, to sidetrack and to offer slithers of anecdote. What binds this book more than anything (although the deft ear comes close) is the way these poems, as poetic space, host relations. One of the delights of poetry is the way a poem reproduces and produces a series (‘set’ is too limiting a word here) of relations—whether aural, semantic or via tropes. There are relations amongst sounds, images, ideas and feelings. Some poets want to activate movement amongst all, others less so. You might fall upon relations between the real, the cerebral and the imagined. Relations between people, places and things. In my view, Tree Space is a treasure trove of poetic connections—combinations that continually jumpstart the reader. The collection opens with ‘Song.’ An opening that is punctured, punctuated, startling. An opening that links sparrow to poet, the voice box to breath, the voice box to concealment (‘a parcel’) and revelation (anatomic). Pronouns tremble with ambiguity. Whose heaving chest? Hidden in the crevices is the ability to sing, the yearning to sing and the doubt ‘she’ can sing. And thus we enter the collection that sings. The starting point as a pivot for poetic excursions is beautifully realised in the poem ‘salt marsh and tidal inlet.’ These words caught the poet-reader’s eye while ‘The other words get/ sucked back into the paper.’ It is as though the poet daydreams and we are caught up in her reverie, the words folding back upon each other, the nostalgic trip wires, the little spotlights on where you are and where you’ve been. Glorious! I love the way the teapot in the poem, ‘In the very middle,’ transports you to all things strange, and the way ‘a polished cake spoon’ can show you yourself as ‘monsterish and wary.’ Again the pivot, the relations and the meditations. There are so many poems that stand out for me (perhaps a tiny cluster at the back that don’t)—poems that generate myriad notes in my notebook. Maria is able to capture the luminous instance, a moment in time that becomes imbued with heat or longing or youthfulness. A moment that might be autobiographical or on the other hand invented. She steps into the shoes of others as adroitly as into her own. ‘Paradox’ finds truth in the way sunflower seeds are both fast and slow growers and the way pumpkins are both heavy and light (and more examples). Maria’s poems are like that paradoxical pumpkin—exuding a tantalising simplicity of form and line yet embracing space that is sweetly fertile. Her poems are quick to the ear and a slow release to the mind. You save the room to move and the detail that sticks. These poems take exquisite flight whilst keeping toes in the soil. I loved this collection. This entry was posted in Poetry and tagged Maria McMillan, NZ poet, NZ Poetry, NZ Poetry review on July 23, 2014 by Paula Green.